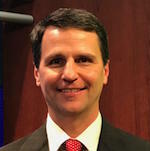 David Deeley is an assistant professor of communication at the University of North Florida in Jacksonville where he teaches Advanced Multimedia Storytelling, Mass Media Law & Ethics, Multimedia Storytelling, and Sports Media & Society. He is the faculty advisor for the ESPN@UNF Club and also serves as executive producer for all UNF ESPN3 streams, training and coordinating student crews for each event. Prior to transitioning to academia, Deeley worked as a television sports director/anchor/reporter at network affiliates in Sarasota, Huntsville, and Montgomery.